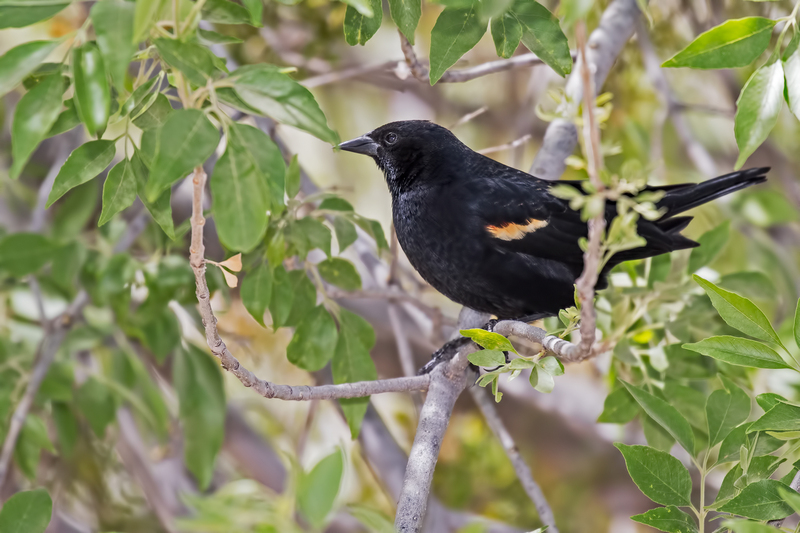 Pictures: Here is a couple of shots that are kind of long and not very good but I like the birds in them. 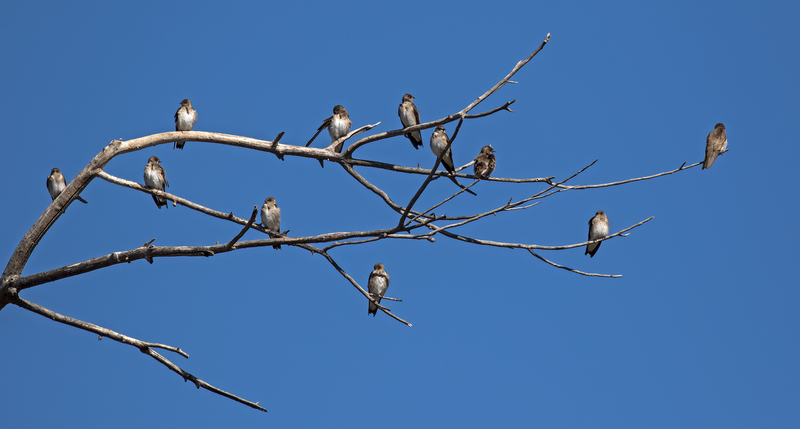 The first one is Cinnamon Teals(Best guess) and the second one is Bank Swallows(Best guess). Chores: I went into the city and did the chores today and my friend Dale rode along and the company helped pass the boring chore time by. Laundry, jugs of drinking water and a little shopping all done, so I should be good for another week. 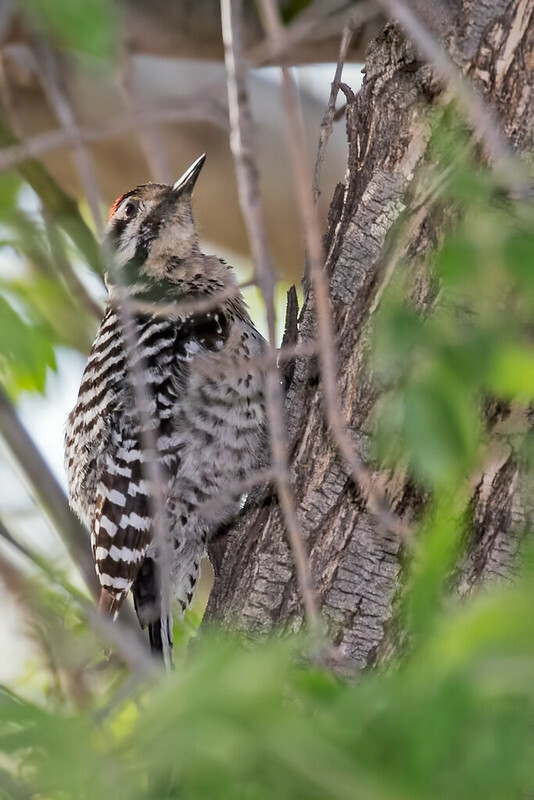 Pictures: Here is a Ladder-backed Woodpecker and this was a hard shot to get to say the least. The tree just outside my RV is fully leafed now and the Ladder-back was in the center so I just got peaks every now-and-than. 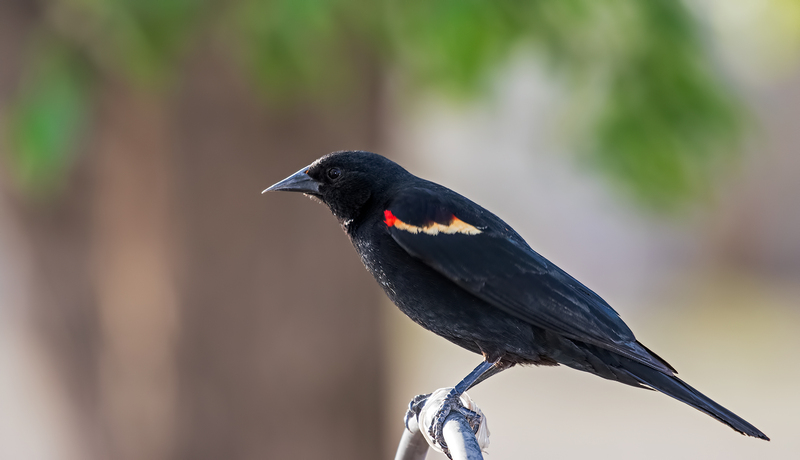 This Red-Winged Blackbird came and sat on the top of the Humming Feeder hanger and give me a good pose. Exercise: Dale and I walked 2 miles this morning. I’ll take a break now for a couple of days. Chores/Move: Tomorrow I am off to the city to do chores and Monday I will have to move to one of the other State Parks in the area because my two weeks is up in this one. Backup: About every 6 months I do a double backup of all my photos and today was the day to back up. I have two hard drives I use for backup. I wish I could do a back up off site but I don’t have the bandwidth for storing on a cloud and have no place to put a hard copy. Well I guess if I lose the RV … I’ll have much bigger problems to worry with!!! 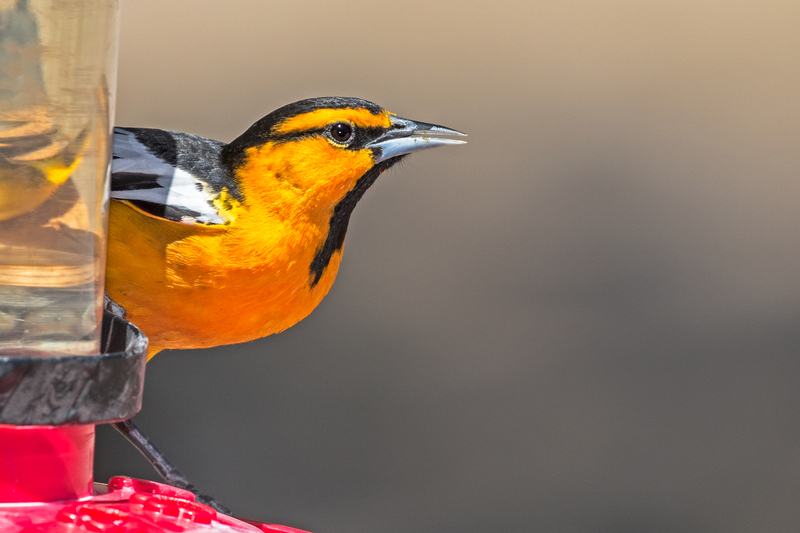 Pictures: Here is one of the Bullock’s Oriole that come around to my feeders. I have this old Humming Bird feeder that I drilled a larger hole in so the Oriole could drink out of it and as soon as I seen this guy I got it out. The sugar-water mix is a little different from the Oriole mix compare to the Humming mix but the Oriole don’t seem to mind drinking the Humming Bird mix. Exercise: Dale and I walked the two miles on the bird trail this morning. I have called this two miles but it may be a little less however it is close if not two miles. Pictures: I seen this one on one of my walks but there are lots of them coming to my feeding area too. 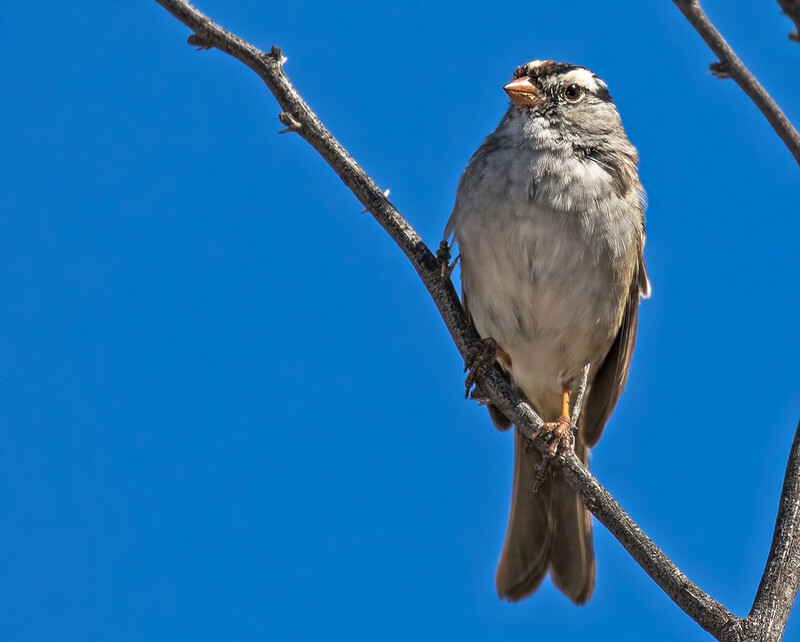 Exercise: I walked two miles this morning while birding and my friend Dale walk along and it was nice to have someone to chat with along the way. City: Dale took a trip into T or C and I went with and got a propane tank filled, it was good to get out. Dale has one of the little smart cars and I find them kind of neat. They have a bit more room than I would have thought, we carry two propane tanks plus 5 one-gal water jugs and still had some room. 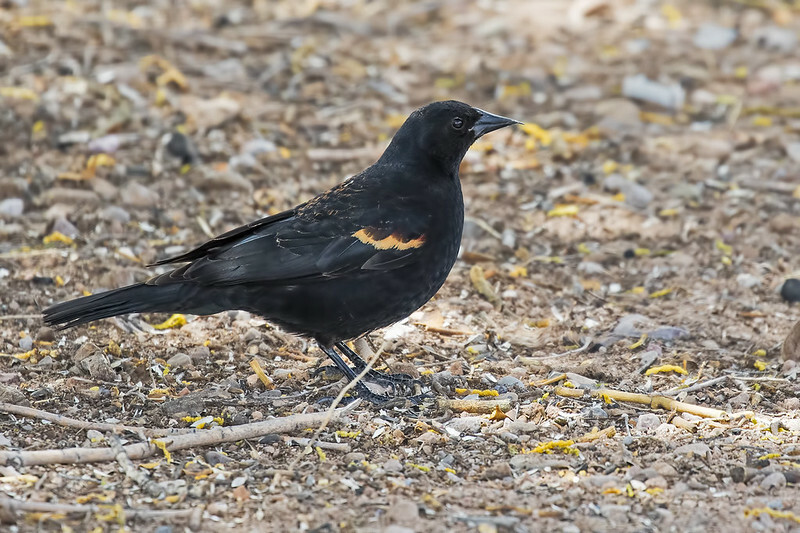 Pictures: A couple more of the Red-winged Blackbirds. Exercise: I walked two miles this morning and I took the camera but I walked it a little quicker than normal. Friend in the Area: My friend Dale came in this morning and it is good to have someone around to chat with. There is a link to Dale’s blog over on the right. 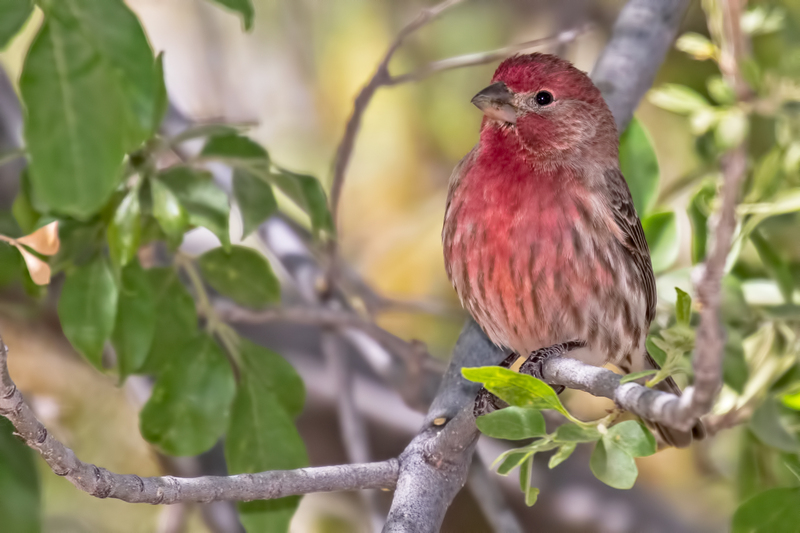 Pictures: Here is one of the many House Finches that hang out at my feeding area. 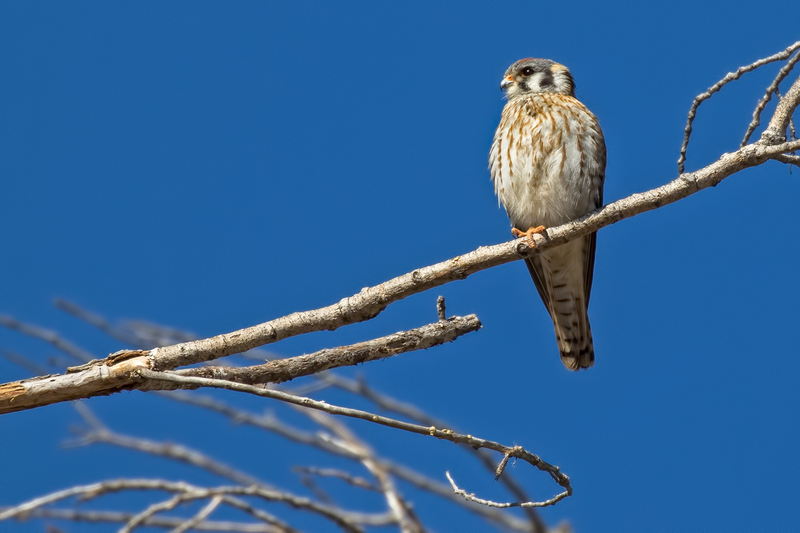 Exercise: I walked a couple of miles while out birding this morning. Weather : It has been very nice! Chores: Today was my day to go into the city and do laundry, shopping and such and I got all that done. Exercise: I will take a day off from exercising on chore day 🙂 .